You may have read my review on Animal Helpers: Wildlife Rehabilitators. We love animals in our family and these animal helper books are full of amazing photos of animals in their time of need and the people who care for them.
" What happens to exotic pets when owners realize they can no longer care for them but they can’t be returned to the wild? And what about big predators that get hurt or sick? This photographic journal takes readers “behind the scenes” at five nonprofit sanctuaries and rescue zoos, and one care farm, that have opened their doors and their hearts"
I made sure to emphasize with my children that these animals aren't meant to be pets in the first place and the unfortunate journey that got them to these sanctuaries. We also focused on the love and kindness that these animal helpers give to these 'orphan' animals. I want to impress in my kids that God has a plan for His animals, and many of them are not given the opportunity to live out their plans when people interfere. We had a rescue sanctuary near where we lived in OH. It was a zoo type setting where you could see the animals and learn about them as well as help to support their care with an entrance fee. These programs are expensive and often very difficult to keep going without financial support from people in the community. 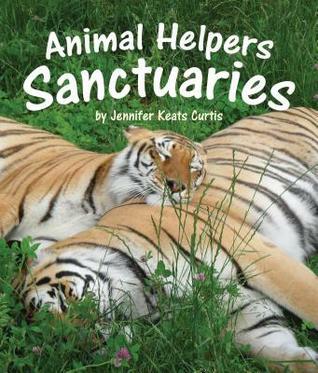 This book and the Teacher Activities help teach our young kids the difference between pets, farm animals and exotic animals.